Not much is known about how bipolar disorder (BD) affects people throughout their lives. Do women and men differ in the severity of their symptoms? Does a person's age when a bipolar diagnosis is made have any bearing on how severe the symptoms are? How do other medical conditions affect symptoms of BD across the life-span? These questions and others like them are the focus of an international team of researchers, joined by Martha Sajatovic, MD, professor of psychiatry and of neurology at Case Western Reserve University School of Medicine, who has received a three-year, $600,000 grant from the International Society for Bipolar Disorders. She and her colleagues will develop the first-of-its-kind multi-national database that can be used to help researchers address questions about BD throughout the adult lifespan. "Bipolar disorder affects millions of people at all ages," said Sajatovic. "The need for this work reflects the demographic tsunami of people living longer lives both in this country and worldwide. It is crucial to understand how bipolar disease evolves as people with the condition age. This will help us anticipate their needs better and develop appropriate treatment plans for different stages of life. In particular, this applies to older age, since by 2030, more than fifty percent of bipolar patients will be 60 and above." 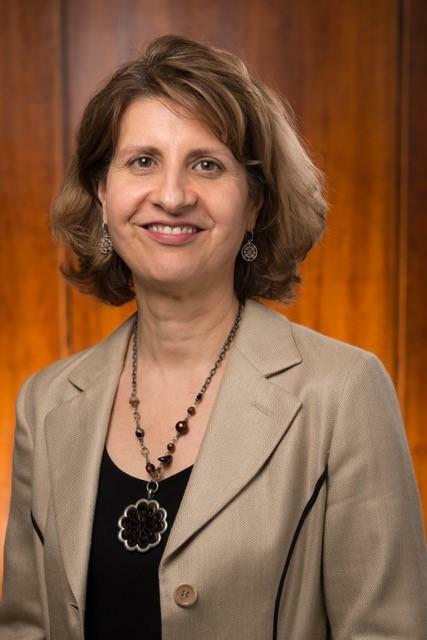 Under the grant, Sajatovic and her colleagues, aided by a steering committee of other bipolar experts, will aggregate and standardize data from more than 1,000 bipolar patients worldwide who have been previously studied. But most findings from these studies are based on research samples of no more than 50 participants from a relatively narrow geographic and age representation. By creating a single comprehensive data set, the scientific team aims to overcome these shortfalls and increase knowledge about BD, its symptoms, and changes in behavior at different stages of life. For example, some of these studies suggest a progressive worsening of symptoms, with more depression in older age and fewer psychotic symptoms. (Many people with BD experience at least one symptom of psychosis, such as delusions and hallucinations, during their lives.) But is this the case more generally? Or is there something about the relatively small populations that were studied that rules out generalizing the findings to more people? "Having access to sufficiently large data samples will enable researchers to determine if these and other trends are valid for the population as a whole," said Sajatovic. "It will also help uncover other patterns of and predictors for bipolar disease that we may only currently have no or little knowledge about." Other areas that the integrated database will allow investigators to examine include mood-symptom changes over time, common medical problems found in people with BD, long-term effects of medications on general health, and the evolution of cognitive function over time. Sajatovic, who is the lead investigator of a team of authorities in BD and data science that will carry out the work of the grant, is also Willard Brown Chair in Neurological Outcomes Research and director of the Neurological and Behavioral Outcomes Research Center at University Hospitals Cleveland Medical Center. In addition to Sajatovic, the study leaders include Lisa Eyler, PhD, from the University of California; Annemiek Dols, MD, PhD, from the Dutch Association of Mental Health and Addiction Care in Amsterdam, the Netherlands; and. Soham Rej, MD, from McGill University in Montreal. Also known as manic depression, BD is a mental health condition that causes unusually large shifts in mood, ranging from extreme emotional highs (mania) to debilitating lows (depression). Directly affecting more than five million people, an estimated 4.4 percent of U.S. adults experience the condition at some time in their lives, with nearly three percent having had BD episodes in the past year. The effects of the disease extend to millions more family members, co-workers, and friends.